Wanna Travel the world with your taste buds?? Now you don't need to travel abroad, because... Pullman Hotel Thamrin Jakarta has launched their restaurant and I think they're the best buffet hotel restaurant, please welcome, Sana Sini. Four unique restaurants in one, is what you will find at Pullman Jakarta Indonesia's new addition to Jakarta's booming restaurant scene. Sana Sini, which means 'Here There' in Indonesian, is a place where you can travel the world with your taste buds. Sana Sini is located in Pullman Hotel Thamrin Jakarta, yes not Central Park, even they're in same management you won't find Sana Sini Restaurant there, because Pullman Thamrin want the citizens had mind-set when you think about Pullman Thamrin you'll think about Sana Sini , so it's kinda signature and be strong point to Pullman Thamrin itself. So, I came here by lunch at it will be a BIG BIG BIG LUNCH :9 all the menu was drooling !! Each section of the buffet has its own distinctive decor and crockery, right down to the sugar holders, that match the style of the food being served, making it feel like you have a special pass to move around four different restaurants. The restaurant is on the ground floor of the Pullman Jakarta Indonesia. The space is vibrant and fresh with floor to ceiling glass providing wonderful natural light. In all the micro-restaurants, the kitchen is open. It lets you see directly the dishes being prepared and watch the expert, talented chefs in action and talk to them about the food they are making for you. This open style creates a lively vibe but does it make the chef nervous? "No," says Stephane Duguet-Lesvignes, the director of Food and Beverages. "We work to very high hygiene standarts here and with people watching it's a constant reminder to the chefs to keep up to those standards." Each area is steered by an expert expatriate chef. In total there are five international chefs : one from France, China and America, and two chefs from Japan working alongside top Indonesian chefs. The executive chef is Frank Yannick Ziegler from rural north-east France. His passion for food is contagious and he is happy to spend hours explaining the various dishes on offer. "I come from a town of 1,000 people in rural France where wine is sold at the door and people make food with passion and with the freshest local products," he beams as he fondly remembers his roots. It's this freshness and love of food that he bringing to urban Jakarta. "We try and source as many ingredients as possible locally, particularly the amazing fruits on offer here in Indonesia," explains Frank. Frank Ziegler started his chef training from the tender age of fouteen and has gone on to work in nine countries in a number of Michelin star awarded restaurants and the world's top hotels. He describes Jakarta as 'booming' and wants to be here to be part of the rapid changes taking place in lifestyle and in the urban restaurant scene. Let's start the gastronomical journey with Japanese Food !! Philippe Le Bourhis, the general manager of Pullman Jakarta explains that the hotels has a Japanese heritage and is known by generations of Jakartans for serving excellent Japanese food, they (Japanese food) takes prides of place in the Sana Sini Restaurant and I could see they have a really complete dishes from sushi, sashimi, tempura, Japanese skewers and many more. You can see the fresh ingredients here and I just can't hold my saliva glands !! Here's some of their options for Japanese station. Sana Sini has two kinds of salmon sashimi : marinated (with lemon) and unmarinated, I picked them all and compare, who's gonna win? A Tie. They both great, the salmon was thick cutted and the freshness brought no fishy smell at all, really enjoy this sashimi, don't forget to dip it into soy sauce and wasabi ! One of my favorite Japanese food is Robatayaki ! Sana Sini has wide variety of Japanese skewers, they have chicken and beef in many different style, I tried their beef, chicken and meatballs, everything was great and the sauce also give salty touch into this sweet skewers. The most common and casual Japanese food is Tempura, it's easy and simple dish with delicious taste, here at Sana Sini you'll find many deep-fried seafood, meat and also vegetables. The salmon tempura was really attract me, actually I never try deep-fried salmon before, but it works ! I expect something authentic and special from their Chinese Station, and here we go ! Maybe they're the most complete chinese food in buffet hotel restaurant, they offer you dim sum, lamian, many chinese food such as steamed fish, blackpepper beef, stew chicken in seczhuan sauce and don't forget hainan rice with chicken or duck and many more, oh ya they also have bbq station ! Such a lovely chinese station. I also did a little conversation with the Chinese chef who took a responsibility here, he recommended me steamed fish which was just ready to served. Dim Sum is so identic with chinese food, that's why Sana Sini won't skip this part. They have quite much options for dim sum, like dumpling, wonton, hakau, siew may, pao with variety of steamed and fried, hmmm I love their dim sum station ! Roasted duck, peking duck, chicken char siew, and fried mantao with braised duck filling, this is a must try, isn't it? The aroma of this steamed red snapper was awesome ! The fish was so soft, smooth and juicy yet the soy sauce wasn't overpowering, so I could enjoy the taste and texture from the fish itself, that sauce just a compliment and keep the fish as strong point. Everybody would love Sana Sini chinese station ! That's why I ate much here :D the rice was fragrant and delicious, there's no comment for the roasted duck and steamed chicken beside they're pretty decent and sauce really made the dish more more and more delicious. Next station ! Are you ready for Western & Mediterranean ?? Meat Lover should love this station. Western (Mediterranean) station always be the most crowded in buffet restaurant, yes because they must have a lot of meat and seafood ! This is what also happened in Sana Sini, look at that Beef Steak, so mouthwatering !! And yes they have a great quality of beef, they're tender, marinated well, and you can compare with anything you want, let's say grilled prawn or smoked salmon? It's up to you foodies because Sana Sini offers many option for your rubbery tummy LOL ! It's like a really big Indonesian restaurant if you see the menu they offered at Sana Sini. You can find many Indonesian traditional food like Gado-Gado, Soto, Pempek, Nasi Rames and many Indonesian cuisine which all must be good but one thing that you should try is their Satay ! Yes, there're chicken, beef and mutton satay! You can enjoy them with peanut sauce or soy sauce and don't forget acar (pickles) They made everything in this open kitchen, so we can see the process of cooking this satay, and there's Indonesian dessert station where you can find es campur, es teler, many more ! lovely food with lovely Indonesian ambiance. After done with Japanese, Chinese, Mediterranean and Indonesia, let's go to the last station....... DESSERTS !!! Seriously even you're not a sweet-tooth when you see this station you would feel like you just wanna stay and don't go anywhere from this outstanding sweet threads. MY FAVORITE DESSERT HERE ! That's all and for me Sana Sini has became my favorite buffet restaurant since I think over 90% of their menu was really delicious ! Another good parts, the price here is really affordable for that kind of buffet IDR 250.000 for lunch and IDR 280.000 for dinner ! See? just compare it with another buffet :) And I hope Sana Sini can maintain their quality and do a renewal menu, so people won't get bored with their menu because there's always a new touch for Sana Sini. 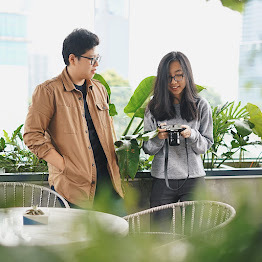 It is a nice blog about Jakarta's food. I found it highly interesting for me and many other travelers. You shared information is really helpful for all readers. Especially for those who want to go there. I have no experience of this place but after reading your blog. I have decided to go there in coming month after my Boston to NY bus tour with my family. I must try it's famous dishes.